In 2006, Randall Munroe published xkcd's "Map of the Internet". Since then, all available /8 blocks have been delegated to regional registries which are now allocating the final addresses. There is an updated version of this strip. After delegation to a registry, a block of IP addresses is allocated to end users who, according to current guidelines, are supposed to advertise their addresses. The numbers of allocated and advertised addresses are visualized in the following images. They are generated automatically every day, detailed information is in the image map. Each regional registry is shown in a different color (see key on the right). 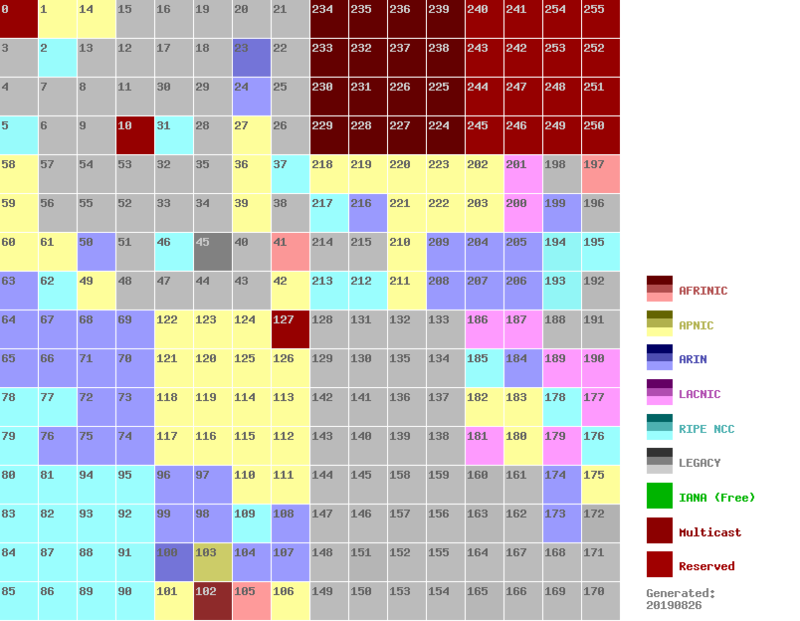 Legacy blocks "Administered by <...>" are shown in grey, as well as corporate/government blocks. The following image shows allocated addresses. The higher the number of allocated addressess, the lighter the color. Hover the cursor for details. 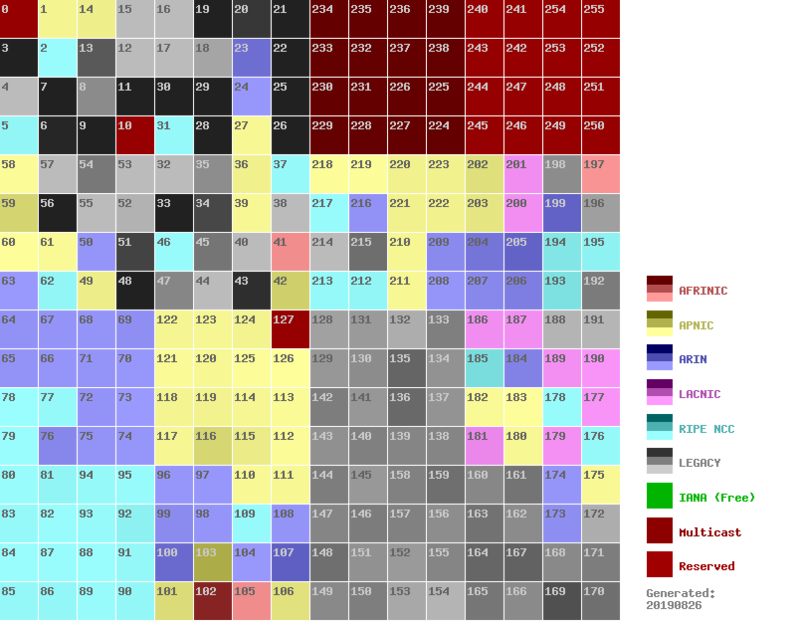 The colors in the following image are based on the number of advertised addresses. Advertised addresses lag allocations, additionally many "legacy" blocks are not advertised. The images are generated daily from the current assignment data from IANA and aggregated routing info from Geoff Huston's IPv4 Report. Route announcements do not necessarily show whether addresses are used or unused: For example, IBM does not advertise any addresses from 9.0.0.0/8, but many of those addresses are used internally.